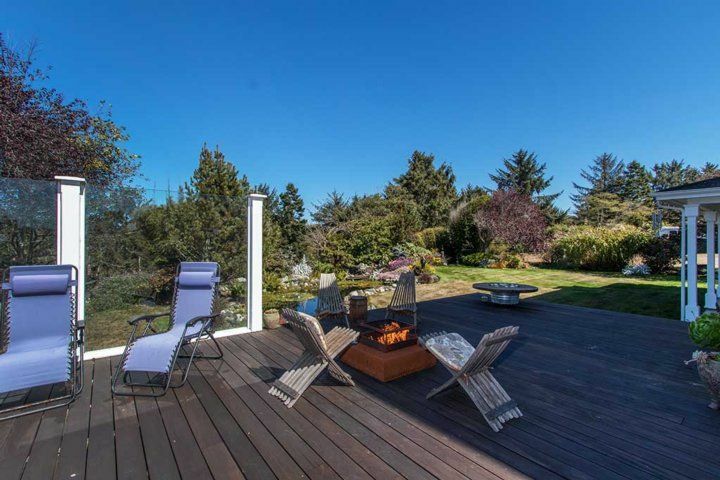 Come explore the Redwoods, soak in the hot tub, relax on the wrap around covered porch, gaze out to the distant sea, cozy up by the fire pit, feed the Goldfish in the backyard pond and listen to the waterfalls. 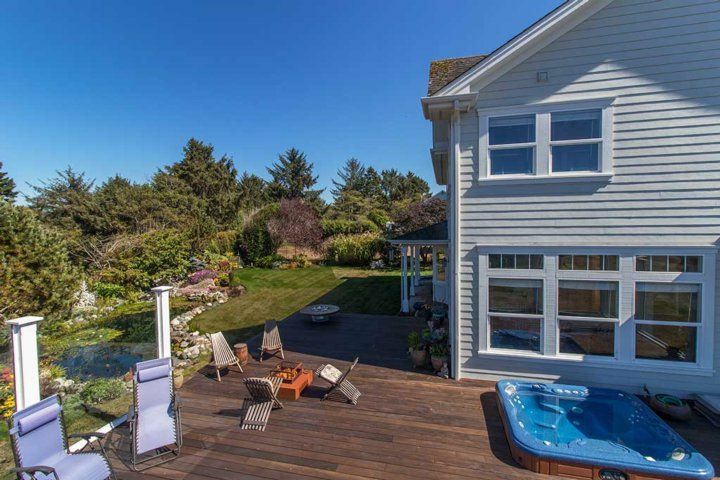 This 2500 square foot home is a haven for the soul inside and out. Perfect getaway for nature lovers, couples and families with older children! 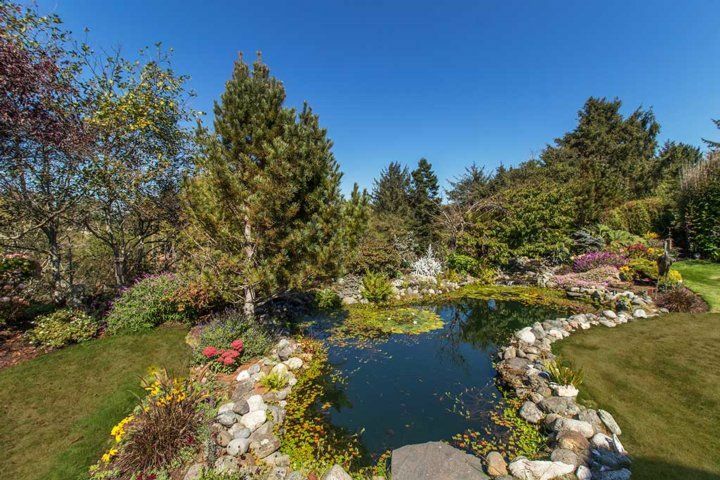 Garden Pond Oasis sits right above a forested coastal trail complete with a bridge and creek. 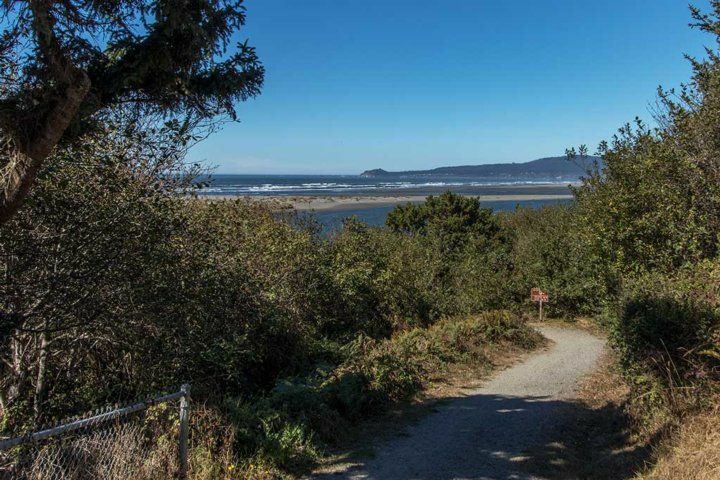 This trail offers a short walk to the Mad River with views beyond to the ocean. 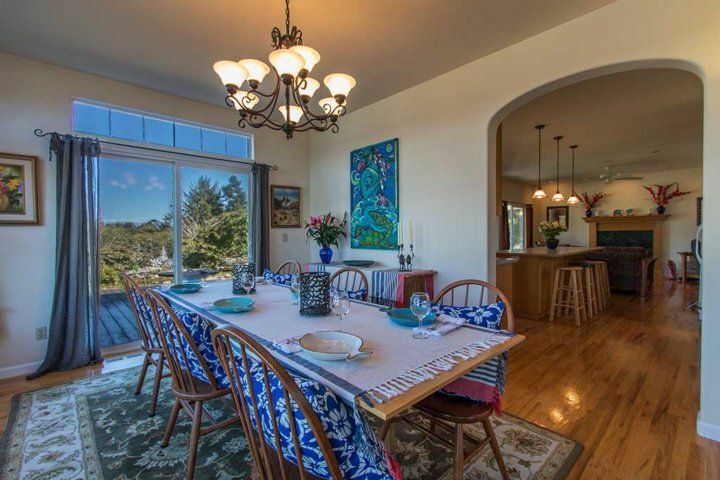 Vaulted ceilings and plenty of windows invite the garden and seaside views inside. 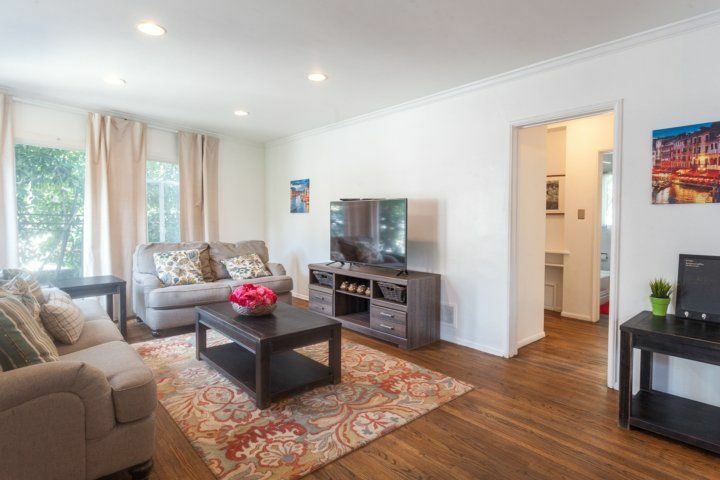 On the main level guests will enjoy gleaming hardwood floors, a well appointed living room w/ large dining room with seating for 6 and a fabulous open and connected kitchen- family room made cozy by a gas fireplace. Enjoy playing games by the fire with over 20 fun board games to choose from! 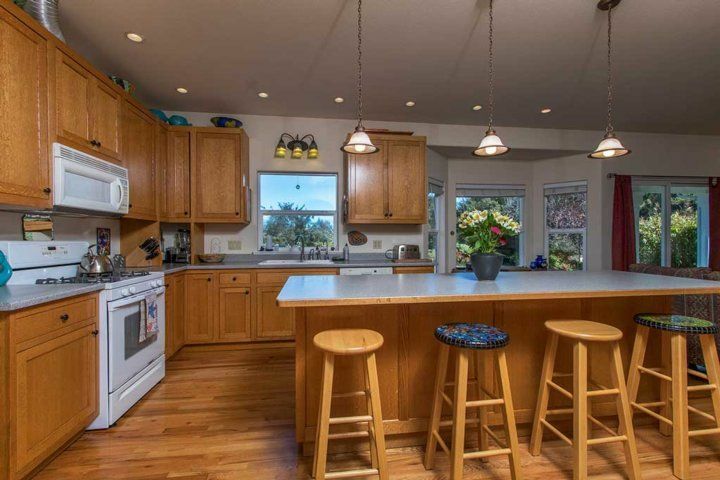 Cooks will love preparing meals in the spacious, fully stocked kitchen complete with a large island and breakfast bar. The family room even includes a desk for guests needing to work while traveling. There is a half bath on this level. 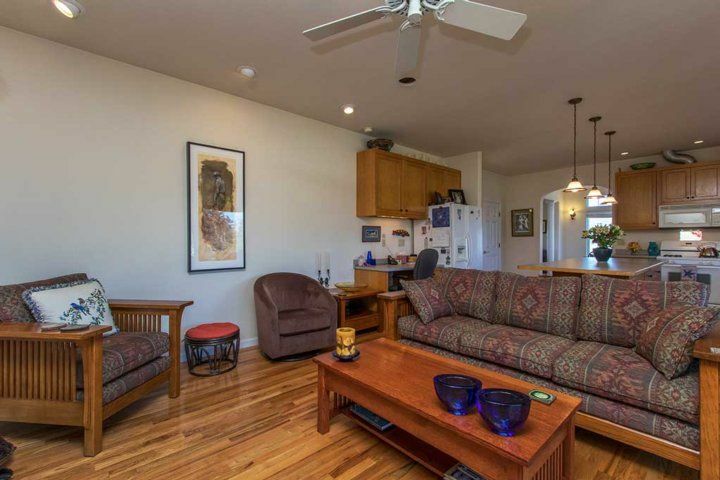 Upstairs are 3 spacious bedrooms. 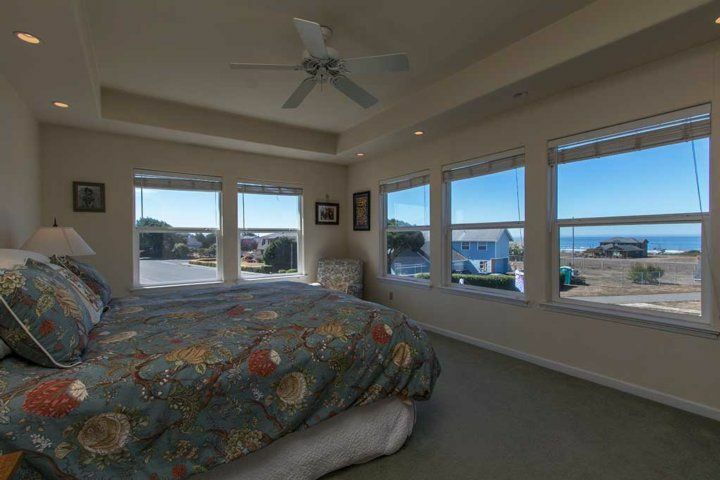 The Master bedroom has distant ocean views, offers a King bed and attached bathroom with a large oval bathtub and separate shower. 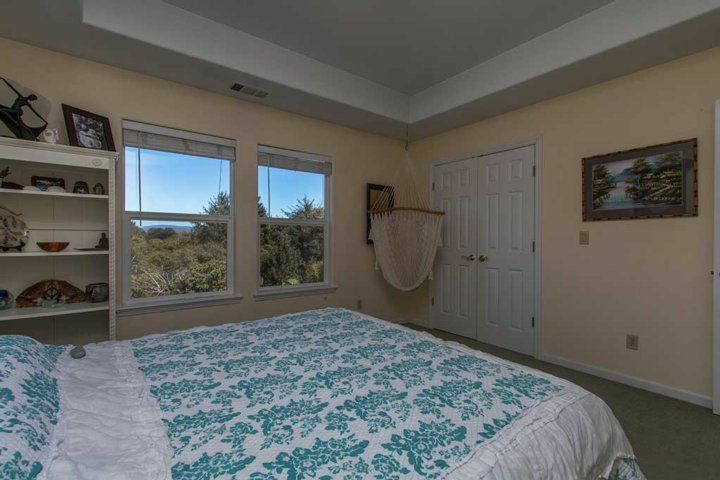 The second bedroom overlooks the incredible gardens, pond and wooded vistas below. 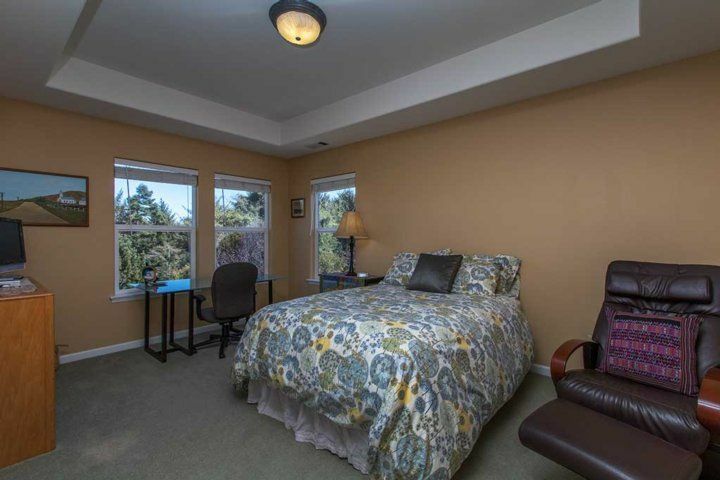 It also has a King bed and a whimsical, relaxing hammock chair. The third bedroom has a double bed, desk for guests needing to do a bit of work and a small t.v. for DVD's only. 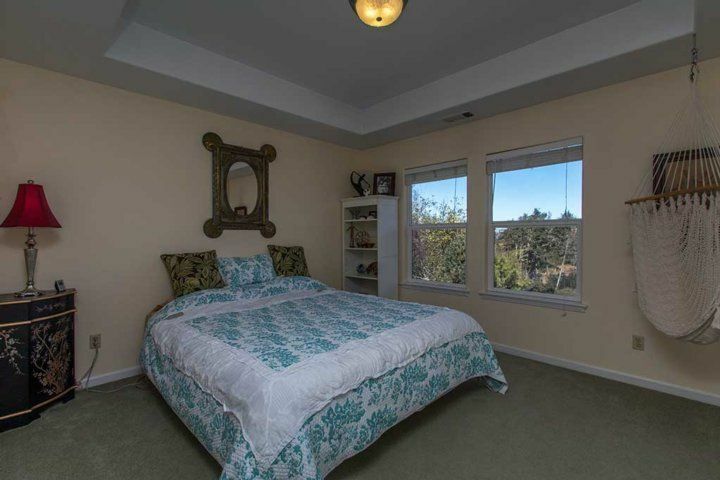 This bedroom also has gorgeous garden & wooded views. 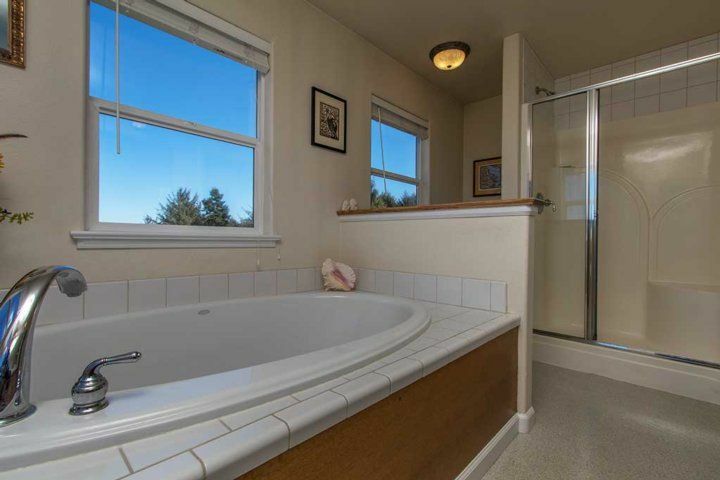 The 2nd upstairs bathroom has a combination tub/shower. 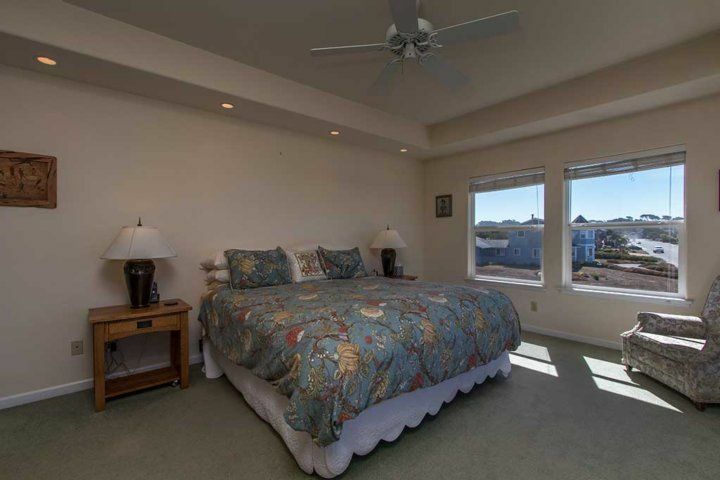 All of the bedrooms upstairs are carpeted adding to the comfort and warmth of this house. 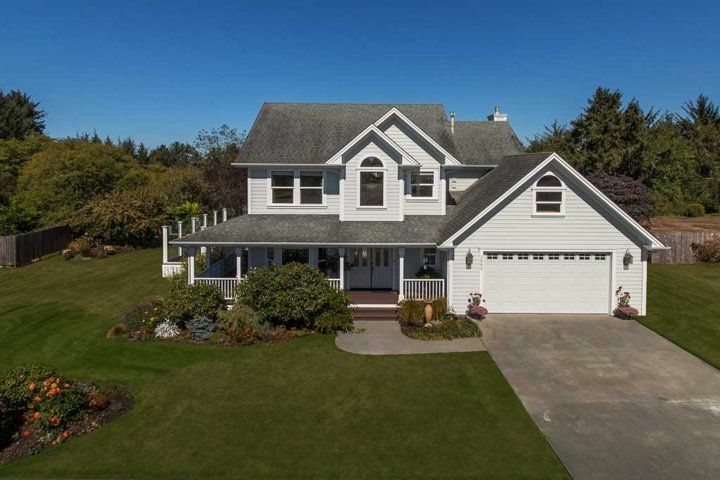 This home is filled with class and style. Each room is decorated with one of a kind artwork. 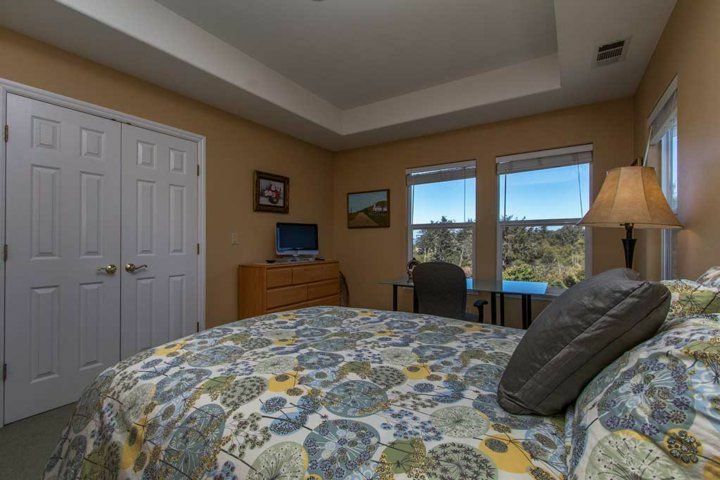 Centrally located in Mckinleyville, Garden Pond Retreat is just 10 minutes to the bustling college town of Arcata and 10 minutes from the seaside village of Trinidad, and less than 2 miles from the local Airport. Just footsteps from the 5-plus mile hiking/biking/equestrian section of the California Coastal Hammond Trail that stretches from the Arcata Bottoms northward to Clam Beach County Park in McKinleyville. 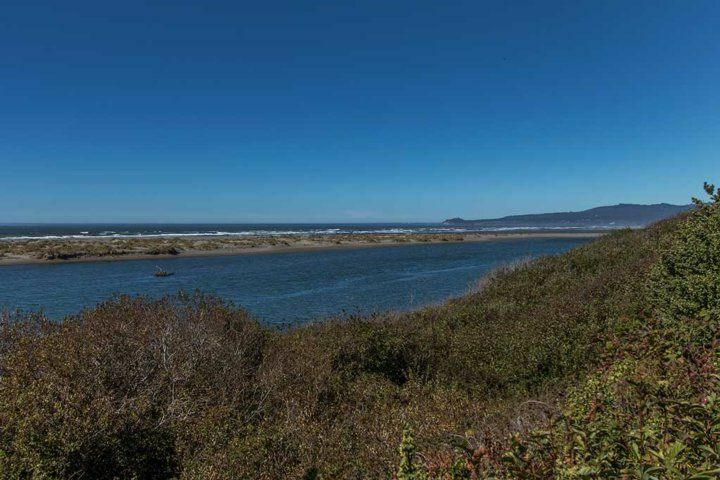 The trail has been voted "best place to walk, jog, or bike" in Humboldt County. If you want to take a bike ride in Humboldt County, this is the place! 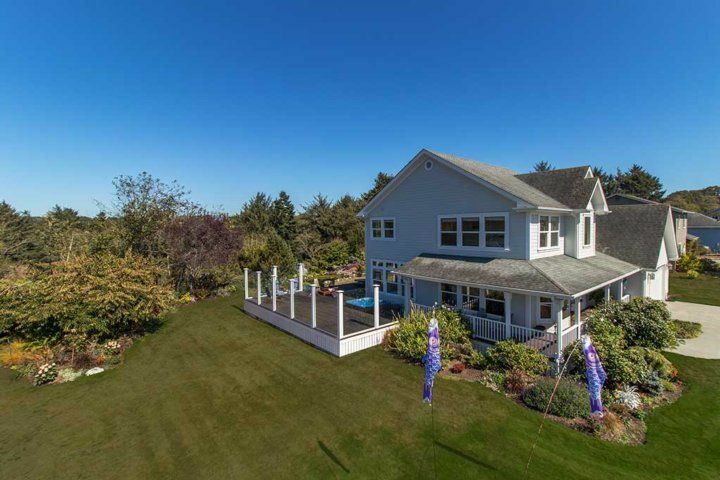 *Due to the 4 foot deep pond this home is not suitable for children under 6 or not swim safe. 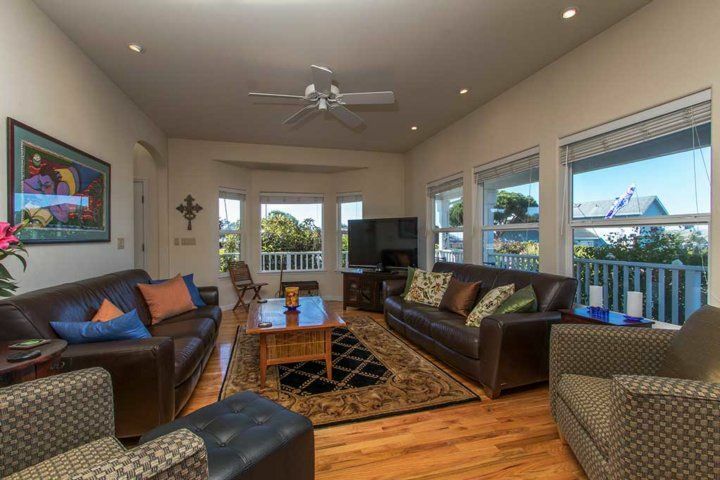 Great Homebase for the Northern California Redwoods and Coast! Stayed for 3 days in August, 2017 Highly recommended! We plan to stay again next time we come down to explore our family history in the Eureka area.This was the perfect house and location for our family trip to the Northern California Coast and Redwoods. My family met up with my brother's family for a comfortable stay centrally located for great day excursions, including beach combing at Agate Beach, hiking Fern Canyon and Redwood groves, Humboldt Bay Kayak Eco-tour (great for first time kayakers), and some great breweries (especially liked Redwood Curtain Brewing in Arcata, but all the locals including Mad River and Six Rivers were great). Early morning walks right outside our door on the Hammond Trial along Mad River were especially relaxing.In the evenings, we really enjoyed relaxing and socializing on the huge outside deck area with the clear wind screen, sunken hot tub, gas fire pit, and lot's of chairs and loungers provided.The kitchen was well stocked with cookware and dishes and had a very large island that served as a common gathering place while we prepared our meals and grilled outside. 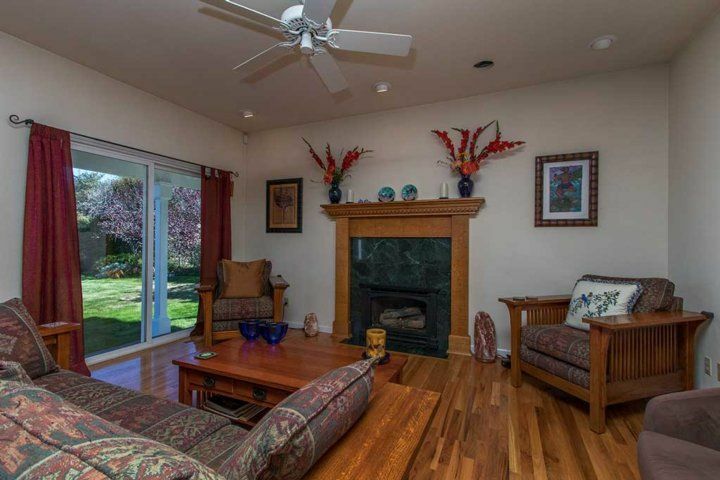 The bedrooms, beds, and bathrooms were clean and comfortable, with great views of the beautiful backyard pond and well kept yard and gardens. 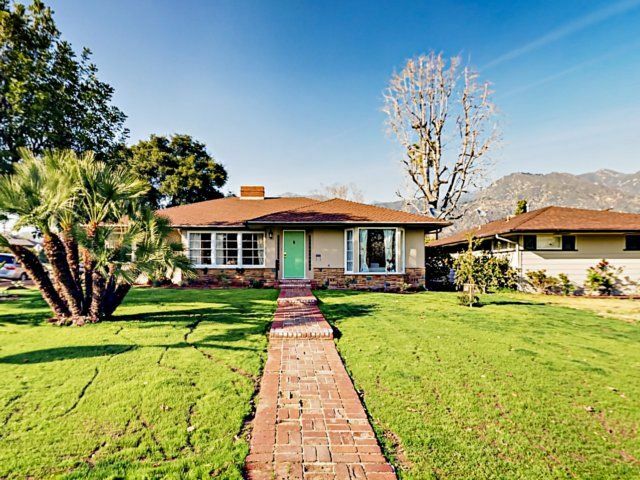 This place stands out as one of the nicest and well maintained homes on the street. 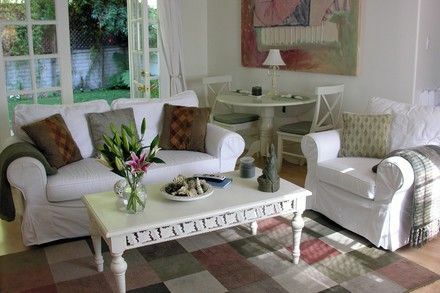 Stayed for 4 days in November, 2017 Very well-equipped, comfortable house with a beautiful backyard and an ocean view. 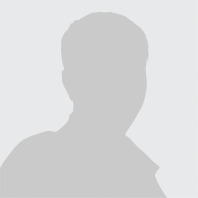 Excellent, friendly customer service. Thanks!